Purchasing a vacuum might not be as fun as buying a new pair of shoes, but it’s a necessary item for your cleaning arsenal. If you’ve been in the market for a while, but hesitant to make the plunge, now might be your opportunity. 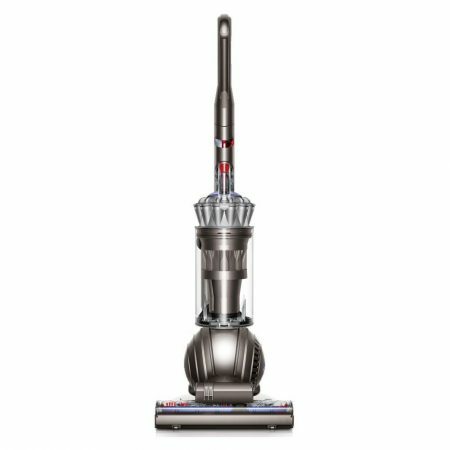 Today only, Amazon has the Dyson DC65 Ball Multifloor Upright Vacuum on sale for $229.99 (regularly $399.99). That’s a savings of $170. This Dyson model features a 13.5-inch cleaning path, a 35-foot power cord and comes in a vibrant purple color scheme. The vacuum weighs 17.4 pounds and comes with a variety of tools, including a combo/crevice tool, dusting brush and tangle-free tool. Still debating whether an upright vacuum is for you? Check out NerdWallet’s Best Upright Vacuums. Find this deal at Amazon.